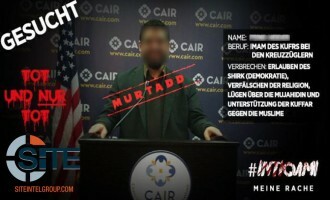 A pro-Islamic State (IS) German-language Telegram channel posted and forwarded several incitements to kill specific “apostates,” naming journalists, “spies,” and Muslim preachers, including German Islamic preacher, Pierre Vogel. 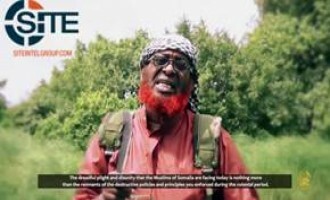 As "gift" for Eid al-Adha, the Shabaab al-Mujahideen Movement released a video on a former member of the Somali parliament who carried out a suicide bombing at the Halane military base in Mogadishu in July 2016. 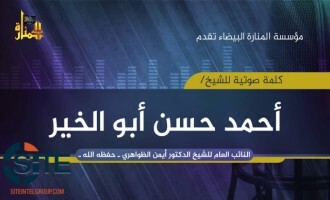 Al-Qaeda in the Islamic Maghreb (AQIM) released an audio speech from the head of its “Council of Dignitaries,” Abu Obeida Yusuf al-‘Annabi, rallying fighters in North Africa and the Sahara on the occasion of Eid al-Adha. 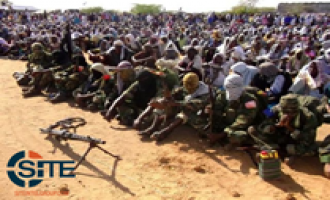 The Shabaab al-Mujahideen Movement, al-Qaeda’s (AQ) branch in Somalia, released a photo report of Eid prayer ceremonies throughout its controlled territories in the country. 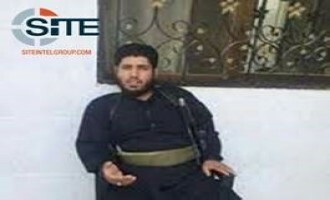 The jihadi media group al-Fursan Foundation published a biography for a Kuwaiti fighter who learned from al-Qaeda officials Abu Laith al-Libi and Khalid al-Husainan in Afghanistan, and was killed in a drone strike. Al-Qaeda leader Ayman al-Zawahiri spoke in a speech to commemorate the 15th anniversary of the 9/11 attacks, calling on Muslims to fight, and noting racial discord in the U.S., urging blacks to enter Islam. Al-Qaeda leader Ayman al-Zawahiri stressed a "dire need" for fighters to unite, especially in Syria, and attacked the Islamic State (IS) and its leader, Abu Bakr al-Baghdadi, for creating and maintaining division between the factions and ranks. 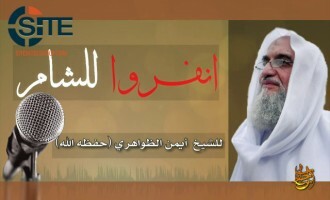 Zawahiri Urges Sunnis in Iraq to Mount Long-Term Guerilla War Against "New Safavid-Crusader Occupation"
Al-Qaeda leader Ayman al-Zawahiri urged Sunni fighters in Iraq to reorganize their ranks and mount a long-term guerilla war against what he called the "Safavid-Crusader occupation". Iyad al-Tubasi (AKA Abu Julaybib), a founding member and high-ranking official with the Nusra Front (NF), announced his separation from the group following its recent split from al-Qaeda (AQ) and re-branding as Jabhat Fateh al-Sham. After publishing a biography of one of the slain sons of deceased al-Qaeda official Mustafa Abu al-Yazid, Muhammad Khan, al-Fursan Media Foundation issued a biography for another son, who served as a member of AQ's Security Committee. Al-Qaeda leader Ayman al-Zawahiri issued a speech calling on fighters to rally around the Afghan Taliban and reject the Islamic State (IS) and its leader, Abu Bakr al-Baghdadi. A jihadist Telegram channel reported the death of a foreign fighter in Aleppo, whom it claimed recruiting to the country’s battlefronts. Omar Khalid Khorasani, a top official in the Tehrik-e-Taliban Pakistan (TTP) offshoot Jamat-ul-Ahrar, criticized the terrorist designation of his group by the U.S. State Department, and denied any affiliation to al-Qaeda or the Islamic State (IS). 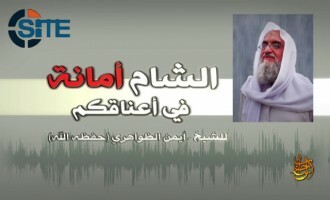 Al-Qaeda leader Ayman al-Zawahiri launched a new speech series, and in the first episode, drew lessons from the perceived failure of the Muslim Brotherhood in Egypt to urge Muslims to adhere to Islamic principles. The 12 minute, 23 second video was produced by al-Qaeda's as-Sahab Media Foundation, and was posted on Telegram on August 13, 2016. The series is called "Brief Messages to a Victorious Ummah," and the first episode is titled, "Who Protects the Mus'haf [Qur'an]?". 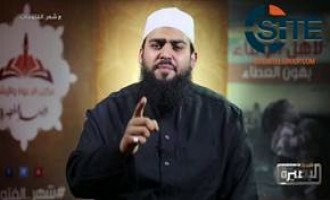 Zawahiri prefaced this episode by saying that it will provide a "brief overview," where the viewer can take a lesson from the Arab Spring and its "failure" in Egypt, Tunisia, and Yemen, and added: "I will tell you the story of what happened in Egypt, because it represents the flagrant pattern of the Muslims’ failure if they are disabled and deviated, and it demonstrates the truth of the Crusaders’ enmity if they are transgressed upon. 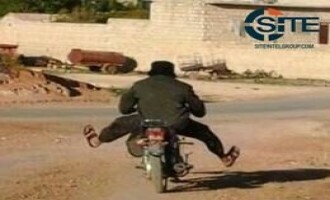 What is drawn from Egypt can be applied elsewhere". We have to review the march, and correct the errors and not repeat them. Every fervent Muslim in Egypt, and in the states of the Arab Spring, the Islamic world, and everywhere, must be a lion in his doctrine and behavior, for if he will not act like a lion, he will be eaten by wolves. We must raise our young children as if we are nurturing cubs and not breeding lambs, and to fight in the battle with the Book that guides and the sword that supports. 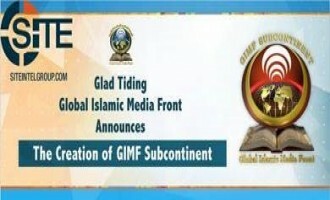 The Global Islamic Media Front (GIMF) announced the creation of “GIMF Subcontinent,” a new media division dedicated to publishing and translating media pertaining to the Indian subcontinent. 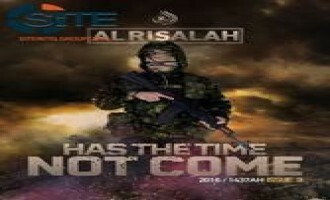 "Mujahideen of Shaam" Publish 3rd Issue of English Magazine "Al Risalah"
Fighters in Syria in support of al-Qaeda and Jabhat Fath al-Sham (formerly the Nusra Front) released the third issue of the English magazine “Al Risalah,” featuring a two-part story by a former British Guantanamo detainee, and interviews with a British fighter in al-Qaeda’s branch in Somalia, the Shabaab al-Mujahideen Movement, and a suicide bomber from the Turkistan Islamic Party (TIP) before his mission. The newly established Jabhat Fath al-Sham claimed clashes with Syrian regime forces in Lattakia and Homs, marking its first such report under the name since relinquishing its al-Qaeda affiliation as the Nusra Front. 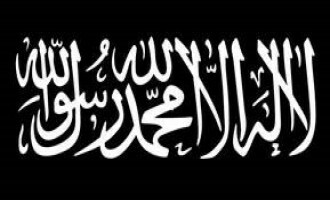 Following the Nusra Front’s (NF) recently announced split from al-Qaeda (AQ) and consequential rebranding as “Jabhat Fath al-Sham,” members and supporters of the group on social media expressed both support and wariness of the decision. 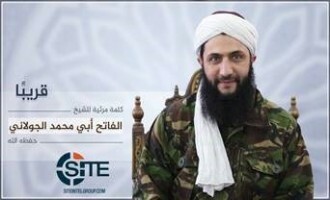 One day after formally ending its affiliation to al-Qaeda (AQ) as the Nusra Front (NF) in a video speech by leader Abu Muhammad al-Julani, the newly established Jabhat Fath al-Sham (“Syria Conquest Front”) explained the separation as part of a necessary “phase” in establishing opposition unity in Syria. Hours after formally ending its affiliation to al-Qaeda as the Nusra Front via a video speech by leader Abu Muhammad al-Julani, the newly named Jabhat Fath al-Sham (“Syria Conquest Front”) released a list of 10 objectives for establishing opposition unity and Shariah in Syria. 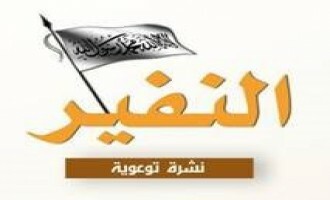 The Nusra Front, al-Qaeda's branch in Syria, released an audio speech from a figure identified as the deputy of al-Qaeda leader Ayman al-Zawahiri telling the group to do what is necessary to preserve the Syrian jihad, even to cut organizational ties. 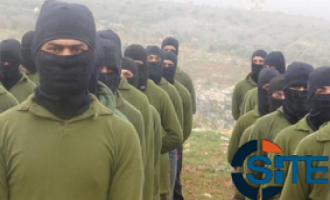 Nusra Front (NF) fighters, supporters, and officials on social media expressed mixed reactions to unconfirmed reports that the group would be formally leaving al-Qaeda (AQ). 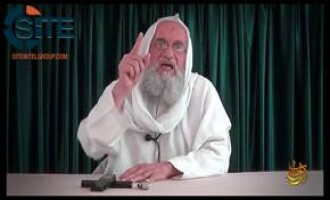 Al-Qaeda leader Ayman al-Zawahiri spoke on slain hostages Warren Weinstein and Giovanni Lo Porto in the third episode of his series "Take Up the Weapon of the Martyr," and reiterated his call to fighters to kidnap for prisoner swaps. Al-Fursan Media Foundation published a biography of a Saudi member of al-Qaeda's Shariah Committee who was killed in in Afghanistan in April 2015. Al-Qaeda called the Islamic State (IS) and its leader, Abu Bakr al-Baghdadi, hypocrites for claiming that they follow the "correct doctrine" while at the same time they eschew Shariah principles. In the fifth issue of its "al-Nafeer" (Call to Mobilize) bulletin, al-Qaeda warned that those who pledge allegiance to Islamic State (IS) leader Abu Bakr al-Baghdadi are responsible for the crimes committed by him and his group. 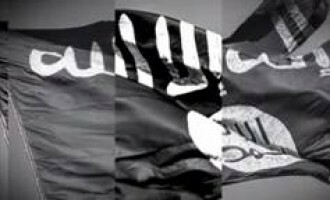 Al-Qaeda Demands Baghdadi Provide Evidence of its "Apostasy"
Al-Qaeda demanded Islamic State (IS) leader Abu Bakr al-Baghdadi produce evidence for the allegations made by his spokesman, Abu Muhammad al-'Adnani, about its "apostasy" and that of other fighters. 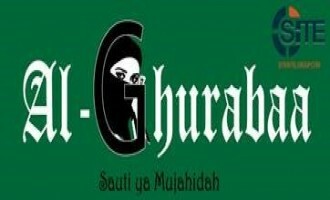 A female jihadist published the fourth issue of a Swahili jihadi magazine for women called “Al-Ghurabaa”. Al-Muhajiroun - Emigrants of East Africa, a pro-al-Qaeda, pro-Shabaab group, posted the four-page magazine on Twitter on July 19, 2016. Al-Qaeda questioned Islamic State (IS) leader Abu Bakr al-Baghdadi about former Ba'ath intelligence officers in his ranks, asking about their role and actions, while the IS accuses the Taliban of working with Pakistani intelligence. Al-Qaeda issued a warning to the U.S. and Pakistan over Pakistani authorities arresting and detaining the families of three slain officials on alleged orders from American intelligence. 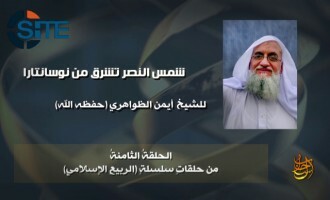 Al-Qaeda leader Ayman al-Zawahiri gave an audio eulogy for former al-Qaeda in the Arabian Peninsula (AQA) chief Abu Baseer al-Wuhayshi, which quickly became a platform to criticize the Islamic State (IS) and Abu Bakr al-Baghdadi. 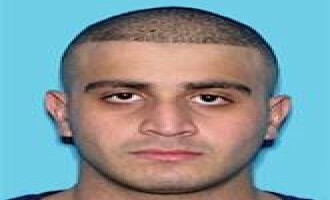 Hamza bin Laden, a son of former al-Qaeda leader Usama bin Laden, threatened revenge against the U.S. for the assassination of his father, and told the American people that they are accountable for the decisions of their leaders. 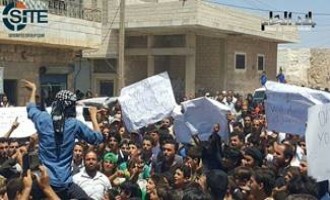 An alleged associate of the Nusra Front (NF), al-Qaeda’s Syrian affiliate group, claimed that over 150 defectors from the Islamic State (IS) had entered territory held by opposition groups, and called for a larger and more organized embrace of such fighters. 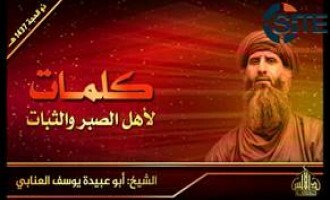 Al-Qaeda in the Islamic Maghreb (AQIM) released an audio speech from the leader of its Sahara division, Jemal Oukacha (AKA Yahya Abu al-Hammam), inciting against France and calling on Muslims to fight. 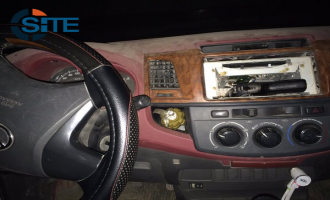 Nusra Front (NF), al-Qaeda’s branch in Syria, claimed recapturing part of Leiramon in Aleppo following a suicide bombing carried out by a wheelchair-bound Saudi fighter. 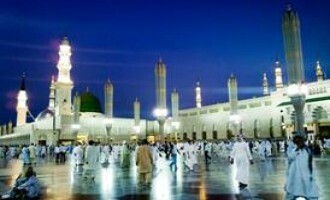 Jihadists on social media commented on a reported suicide bombing on the Prophet's Mosque in Medina. 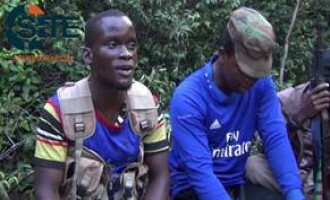 A group calling itself "Jabha East Africa," which pledged allegiance to the Islamic State (IS) two months ago and has since criticized the Shabaab al-Mujahideen Movement, gave videos of alleged Shabaab defectors. Abu Sulayman al-Muhajir (AKA Mostafa Mahamed), an Australian cleric and member of the Shariah Committee of the al-Qaeda-affiliated Nusra Front, condemned the June 28, 2016 triple suicide bombing at Istanbul’s Ataturk Airport. Al-Qaeda in the Islamic Maghreb (AQIM) claimed bombing a French military vehicle in the Malian city of Gao and killing its occupants. 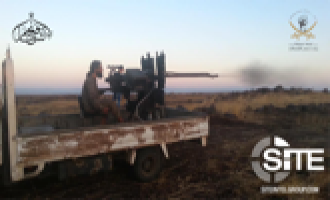 Nusra Front (NF), al-Qaeda’s branch in Syria, announced repelling an attack by the pro-regime militia over Ma’raata near Khan Touman, in the southwestern countryside of Aleppo, and capturing Shiite soldiers and war spoils as a result of the clashes in the area. Al-Qaeda leader Ayman al-Zawahiri mourned the killing of former Afghan Taliban head Mullah Akhtar Muhammad Mansour and pledged allegiance to the group's new chief, Haibatullah Akhundzada. 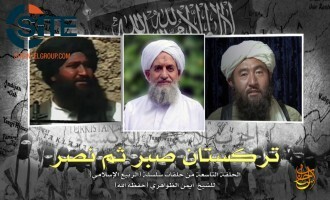 Three branches of al-Qaeda – al-Qaeda in the Arabian Peninsula (AQAP), al-Qaeda in the Islamic Maghreb (AQIM), and al-Qaeda in Syria (Nusra Front) - issued a joint eulogy for Afghan Taliban leader Mullah Akhtar Muhammad Mansour. 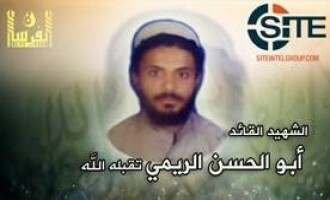 Al-Fursan Media Foundation published a biography of a slain Yemeni commander and son-in-law of now-deceased al-Qaeda official Muhammad al-Hukaymah (AKA Abu Jihad al-Masri). 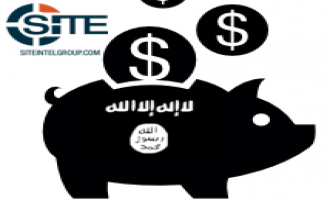 A jihadi Telegram channel called on Muslims to stop “wasting time” and begin preparing for migration, suggesting different methods to raise funds. 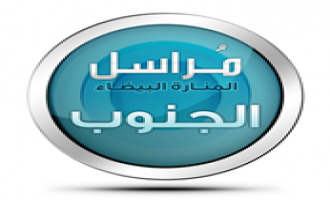 Al-Ribat Media Foundation, the media arm of al-Qaeda in the Islamic Maghreb's (AQIM) al-Murabitoon division, called on Malian Muslims in the country's desert region to support jihad, and promoted a December 2012 message from Moktar Belmokar. After giving a biography of Abu Nu'man Yintari, the Islamic State (IS) published a biography of another Shabaab defector who was killed by the al-Qaeda faction in Somalia for pledging to the IS, in its al-Naba weekly newspaper. 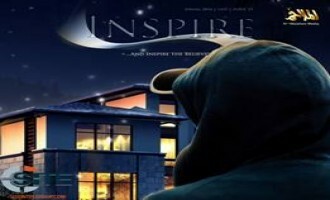 Jihadists on social media disseminated issue 15 of al-Qaeda in the Arabian Peninsula’s (AQAP) “Inspire” magazine, encouraging Western Muslims to use it as a resource for attacks. 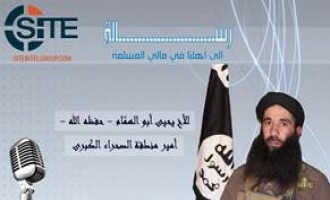 Al-Qaeda’s as-Sahab Media Foundation released an audio speech from Hamza bin Laden, a son of slain al-Qaeda leader Usama bin Laden, promoting lone-wolf attacks in the West as a means to "liberate" Jerusalem, and urging unity among fighters in Syria. 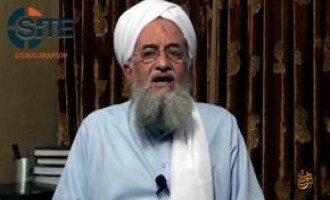 Al-Qaeda leader Ayman al-Zawahiri again urged fighters in Syria to unite in the face of the enemy and its conspiracies, calling it a matter of "life and death". 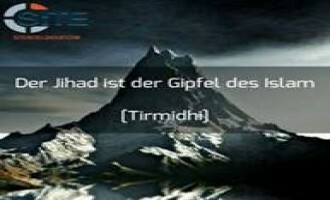 A German-language jihadi Telegram channel called for migration to Syria amid a recently renewed offensive against regime forces in Syria. 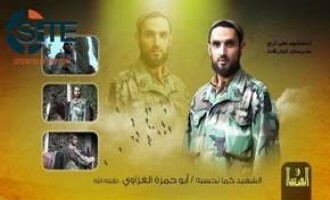 Al-Fursan Media Foundation published a biography of a slain Saudi military camp trainer and associate of former al-Qaeda official Mustafa Abu al-Yazid. 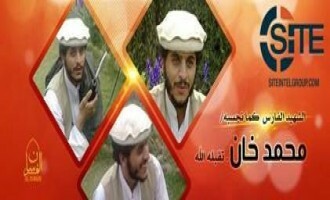 Al-Fursan Media Foundation published a biography of a slain Palestinian official for an al-Qaeda-linked battalion in South Waziristan. 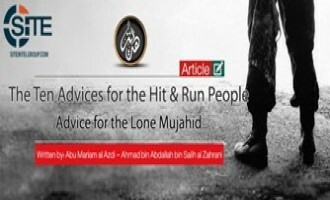 A jihadist Telegram channel suggested attacking commercial planes with remote-control drones, and forwarded pages of a popular jihadist bomb-making guide. 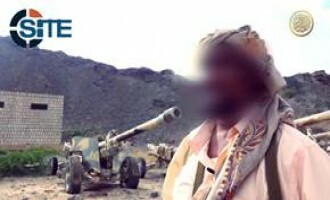 Al-Qaeda in the Arabian Peninsula (AQAP) denied involvement in the incident in which Yemeni soldiers were ambushed and killed in Ahwar district of Yemen’s Abyan governorate. 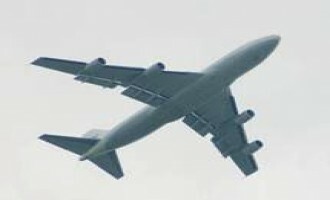 A jihadi Telegram channel called for airplane hijackings and domestic attacks while disseminating bomb-making manuals. 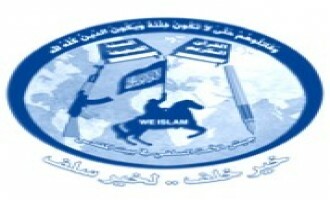 Al-Fursan Media Foundation, a newly-established jihadi media group, published a biography of a deceased son of slain al-Qaeda official Mustafa Abu al-Yazid, identifying the son as a planner of many "unique" operations, including the June 2008 suicide bombing at the Danish embassy in Islamabad. In the final episode of his interview with the Islamic State's (IS) al-Naba newspaper, the alleged al-Qaeda defector Abu Obeida al-Lubnani discussed the group's "deviation" and its work in Libya during the Arab Spring, among other issues. A German-language Telegram account pertaining to an alleged jihadist in Syria shared a personal email address, offering advice for jihad and migration. 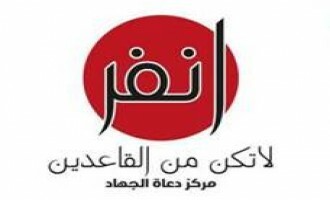 Al-Hidaya Media Foundation, a Yemeni jihadi media group opposed to the Islamic State (IS), published an article refuting the allegations made in the IS' al-Naba weekly newspaper by an individual portrayed as a defected al-Qaeda official. 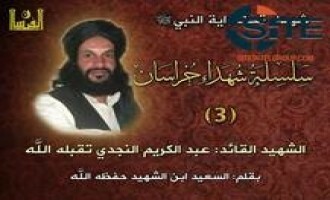 An alleged former al-Qaeda official who defected to the Islamic State (IS) claimed in an interview with the IS' weekly newspaper, "al-Naba," that "al-Qaeda in Khorasan" is finished, and discussed al-Qaeda's aspirations in Syria, its relationship with Iran, and its working with Pakistani intelligence. 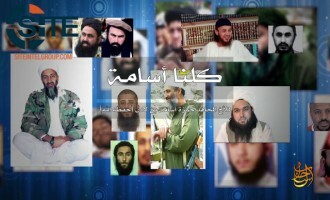 Fighters in the Sahara branch of al-Qaeda in the Islamic Maghreb (AQIM) released a video threatening France, asserting French media censors the “damage” AQIM has caused the French military, and featuring footage of politicians who AQIM perceives as leading a war on Islam. 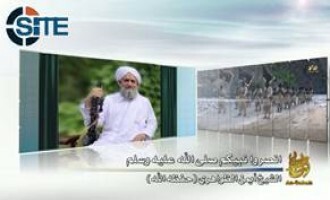 Al-Qaeda leader Ayman al-Zawahiri, in the fifth episode of his series “Days with the Imam,” in which he remembers his experiences with Usama bin Laden, discussed the man who helped Bin Laden escape the siege on Tora Bora. 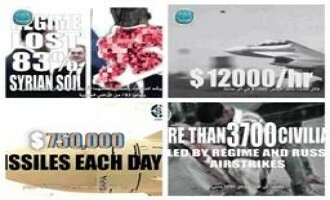 Nusra Front (NF), al-Qaeda’s branch in Syria, released an infographics video on the cost of the Syrian war to the Syrian regime and Russia, the number of civilian and military casualties, and the impact of the Russian intervention. Jihadi Twitter and Telegram accounts distributed a document advising on how to perpetrate effective lone wolf attacks. Fighters and supporters of the Nusra Front (NF), al-Qaeda’s (AQ) Syrian affiliate group, debated and weighed approaches to achieve “unity” with other opposition groups in the country. 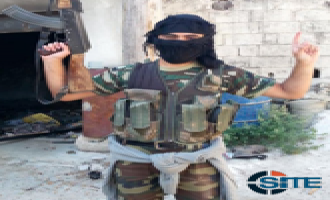 A fighter with the Nusra Front (NF), al-Qaeda’s Syrian affiliate group, claimed new and coming pledges to the group in Aleppo and Hama, and claimed that a “new offensive” would soon begin. Al-Qaeda leader Ayman al-Zawahiri addressed an audio speech to Muslims in East Asia, promoting his group and its ideology and goals over that espoused by the Islamic State (IS), and urged they contribute to jihad. 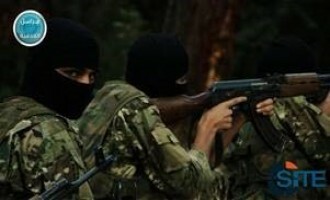 The Nusra Front (NF), al-Qaeda’s branch in Syria, claimed killing and wounding Syrian regime forces in attacks in al-Jub al-Ahmar and Salma city in Lattakia. Al-Qaeda in the Islamic Maghreb (AQIM) claimed credit for the raid at the Splendid Hotel in Ouagadougou, the capital of Burkina Faso, reporting its execution by the recently-joined al-Murabitoon Battalion. Al-Qaeda leader Ayman al-Zawahiri criticized the Riyadh conference attended by Syrian opposition groups in an audio speech, warning of the “cunning” of Saudi Arabia, and continued to caution against and condemn the Islamic State (IS). 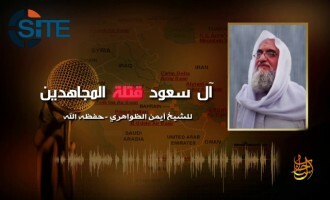 Al-Qaeda leader Ayman al-Zawahiri called in an audio speech for fighters to attack interests of the “Zionist-Crusader alliance” in revenge for the execution of Sunni militants and scholars by Saudi Arabia. Al-Qaeda in the Arabian Peninsula (AQAP) claimed nine attacks on Houthi fighters in Yemen’s al-Bayda’ governorate between December 29, 2015, and January 3, 2016, seven of which involved improvised explosive devices (IEDs). 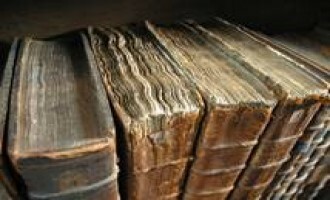 A Telegram channel has provided a steady feed of jihadist manuals, speech transcripts, and other documents for jihadi followers. Al-Qaeda in the Arabian Peninsula (AQAP) released a video on its retaking the city of Ja’ar in Yemen’s Abyan governorate, and killing Ali al-Sayyid, the deputy commander of the Popular Committees. Pro-al-Qaeda jihadists on Telegram and Twitter distributed a JustPaste.it document attributed to Islamic State (IS) fighters in Yemen, wherein they predicted the collapse of IS in the country due to immoral leadership. Al-Qaeda in the Arabian Peninsula (AQAP) released an audio speech from former Guantanamo detainee Ibrahim al-Qosi (AKA Khubaib al-Sudani) giving a eulogy for Abu al-Hassan al-Bulaydi and reminding fighters not to stop attacking the West and America specifically. Al-Qaeda in the Arabian Peninsula (AQAP) claimed 16 attacks in five days on Houthis and what it called a “pro-Houthi” security administration in Yemen’s al-Bayda’ and Ibb governorates. 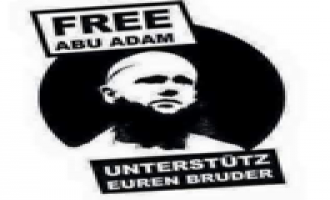 Jihadists on social media campaigned for Sven Lau, a German Islamist preacher known as “Abu Adam,” following his December 15, 2015 arrest for allegedly aiding jihadists in Syria. Fighters with the Nusra Front (NF), al-Qaeda’s branch in Syria, commented on salaries paid to NF fighters versus those of other opposition groups. 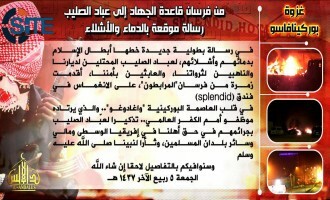 Jihadi fighters in Syria commented on the ongoing conference of Syrian rebel groups in Riyadh, Saudi Arabia, which aims to achieve unified positions amongst opposition parties to bring to negotiations with the Syrian government. 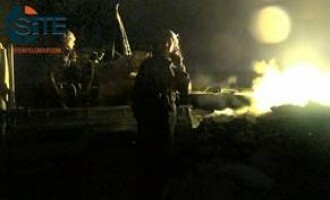 A fighter affiliated with the Nusra Front (NF), al-Qaeda’s (AQ) Syrian affiliate, condemned British airstrikes on Islamic State (IS) oil fields and detailed their alleged consequences on oil prices in the region. 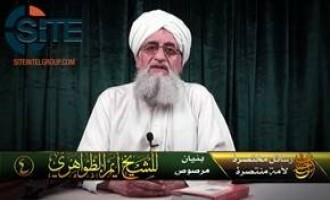 In an as-Sahab video produced 3-4 months after the January 2015 attacks in Paris, but released on December 1, al-Qaeda leader Ayman al-Zawahiri praised the strikes and called on Muslims to “move the battle” to the United States and Europe. 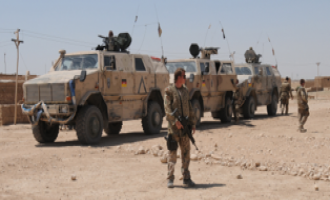 Jihadi users on Twitter threatened Germany in response to its decision to join an intensified anti-Islamic State (IS) military campaign with other Western nations in Syria. A group calling itself the “al-Aqsa IT Team” distributed a manual for ensuring online anonymity while using Tor Browser on an al-Qaeda (AQ)-affiliated forum. Abu Abdullah al-Ghazi, an official with pro-al-Qaeda Gaza faction Jaish al-Ummah (Army of the Ummah), released a statement condemning a lack of support from the international jihadist movement for its efforts in Palestine. The message was dated November 22, 2015. 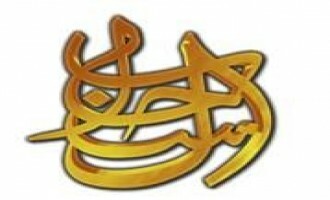 …we were let down by the Ulama of the Muslims and the Ulama of Jihad by not inciting the sons of the Ummah to support us with their souls and money… we were let down by the merchants of the Muslims and the people of money and they did not give us of their money and Zakah… we were let down by the media of the Muslims and the Mujahideen by them being silent about us and marginalizing our Jihad… we were let down by those leaders and writers and thinkers who took it upon themselves to support the oppressed, and did not support our call and Jihad. Come O free people of the Umma from the Jihadi and Islamic movements: To form one united Jihadi front that launches from Palestine to remove the invasion and liberate Jerusalem and Earth and man; to establish the religion, and empower the Shari’a of Allah the god of the two worlds, and return the authority to the Muslim Ummah in Palestine, the cradle of the honest wise Caliphate and then the general lands of the Muslims. The November 20, 2015 attack on a hotel in Bamako, Mali on November 20, 2015, claimed by pro-al-Qaeda (AQ), Mali-based group al-Murabitoon, was met with approval by the jihadi community on Twitter. 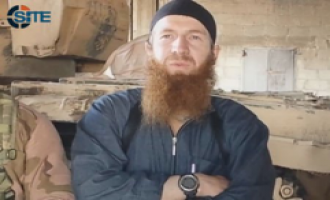 An alleged fighter with the Nusra Front (NF), al-Qaeda’s (AQ) Syrian affiliate group, posted a photograph on Twitter of an alleged Dutch fighter killed with the group. In response to the second round of the Vienna Talks on Syria on November 14, 2015, fighters and supporters of the Nusra Front (NF) and other Syrian opposition groups discussed the implications of foreign aid and political engagement. The Nusra Front (NF), the al-Qaeda affiliate in Syria, released a video featuring two NF fighters criticizing the Islamic State (IS) for acting as renegades and causing sedition in jihadist movement. 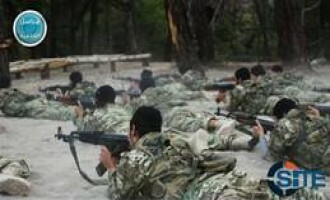 The Nusra Front (NF), the al-Qaeda branch in Syria, reported an attack on Syrian regime forces in the southern countryside of Aleppo. The Nusra Front (NF), the al-Qaeda branch in Syria, released an official statement denying rumors that the group was cooperating with Israel. 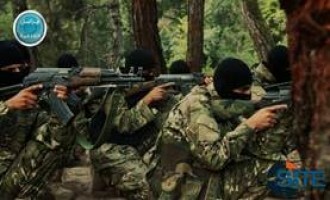 A jihadist-supporter on Twitter called for financial and other forms of support to Balochistan-based jihadi group Ansar al-Furqan. A female jihadist published the second issue of a Swahili jihadi magazine for women called “Al-Ghurabaa”. 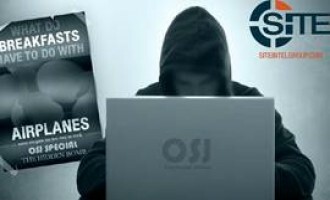 The four-page magazine was posted on Twitter on October 29, 2015, and was promoted by al-Muhajiroun - Emigrants of East Africa, a pro-al-Qaeda, pro-Shabaab group.